Add pockets to your mobile phone with the Doctor Silicone Mobile Device Pocket. 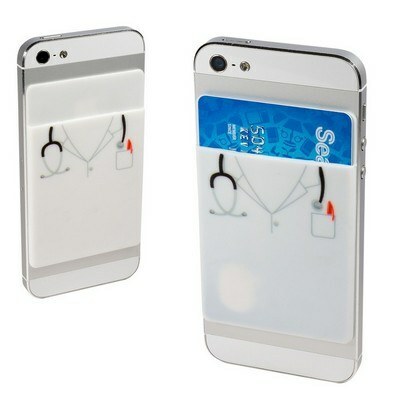 It is a silicone pocket with a pre-printed doctor design. Add pockets to your mobile phone with the Doctor Silicone Mobile Device Pocket. 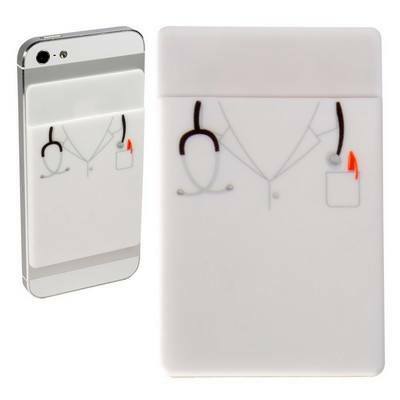 It is a silicone pocket with a pre-printed doctor design. The mobile device pocket features a removable adhesive silicone backing that sticks to the back of your cellphone or your mobile device. It holds credit cards, driver's license, business cards, stylus, coins or other small personal items. The design makes it ideal for doctors and hospitals. It is compact and easy to store. Customize the mobile device pocket with your company’s logo and promote your brand to a niche market segment comprising of all health care professionals.